What does the Brexit mean for the European and British logistics markets? The Britons voted for the exit from the European Union by a narrow majority of 51.9 percent in a referendum on 23 June 2016. Scotland and Northern Ireland are against leaving. Critics fear serious consequences for the British economy. The Brexit has an impact on both the British and the Europeans. New foundations must be laid between the EU and the United Kingdom, since the economic and political effects must not be underestimated. Economic instability, which can drag on for years, is inevitable. The Bank of England expects the British economic output to shrink by 8 percent within a year. In comparison, in the past financial crisis it fell by 6.25 percent. The European parties are also drawing consequences from the withdrawal: almost half of British exports go to the EU. Four of England’s five largest export destinations in 2017 were EU countries, namely Germany, France, the Netherlands and Ireland. 189 billion worth of goods were shipped to these countries. For example, Germany would not be overthrown by the Brexit, but would be hit. The United Kingdom, with a positive foreign trade balance of 120 billion Euros per year, is one of Germany’s top five partner countries. The close trading relationship between the Germans and the British makes it clear that an orderly exit procedure is advantageous for both partners. The Brexit will also trigger further domestic debates in the future: It is not the whole kingdom that agrees to withdraw. The break-up of cohesion was evident after the election results. Despite the size and power of the state, there is the possibility of being involved in EU policy as a third country, which also means that as a third country they have no influence on political decisions. Following the withdrawal of the United Kingdom, there could be a domino effect. Dissatisfied EU countries could follow their lead. 14 percent of EU companies working with British suppliers had already withdrawn parts of their business from the British Isles at the beginning of the year. 42 percent of the EU supply chain managers surveyed believe that British products do not stand out from other products and that it is therefore possible to consider abandoning these products. The white paper 2018 by the service logistics company Carousel Logistics came to the conclusion that German companies are much more optimistic than British companies. 69 percent of the companies expect an unchanged success after the Brexit. Half of the companies in both countries state that they have not yet started to prepare their supply chain for Brexit. Almost 50 percent of the businesses in both countries are unsure about what precautions need to be taken for Brexit. 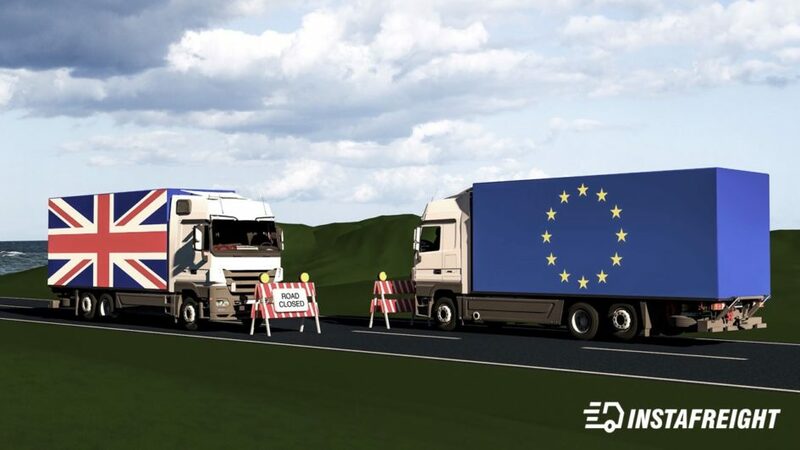 Various companies (27 percent in the UK, 21 percent in Germany) consider relocating parts of their supply chain from the UK to continental Europe. DIHK President Eric Schweitzner warns that many companies will be insecure as a result of their departure, jeopardizing just-in-time production and supply chains. Brexit can create further obstacles: Customs duties can be imposed again, which can lead to a direct increase in costs for logistics companies. In addition, the port of Dover warned against charging customs duties, as they could lead to a delay in handling. A customs check of two minutes per truck alone can lead to a traffic jam of over 30km. This can result in problematic delays in delivery processes. The British should leave the EU on 29 March 2019. Theresa May and EU heads of 27 governments agreed at a recent meeting to reschedule the withdrawal to April 12, 2019. If the British parliament decides against the date, the UK will have to submit a new proposal until then. Among other things, the previous agreements promise legal certainty so that EU citizens in Great Britain and Britons on the European continent can continue living largely as before even after the Brexit. But in order for the UK to continue enjoying the benefits of the EU domestic market, there are several trade agreements that can be concluded with the EU. For example, the UK could have a similar agreement to Norway, which is a member of the European Economic Area (EEA). Nevertheless, the UK would have to bear the resulting obligations and waive any say in negotiation processes. Economic and logistics experts are increasingly concerned about the consequences if Brexit takes place unregulated. Precise solutions have so far only been discussed, but not determined. It is not known how companies are to proceed specifically. Some companies want to prepare themselves as best as possible for an emergency and increase their storage capacities in the United Kingdom. However, some large companies are already withdrawing from Great Britain or planning to stop production as soon as the UK is leaving the European Parliament.